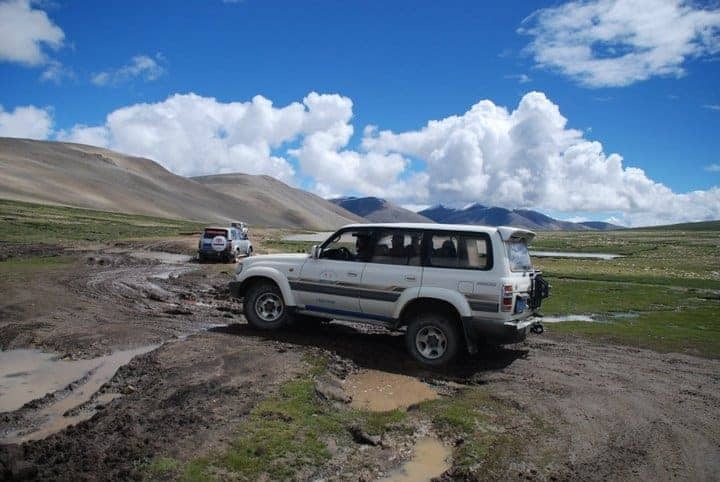 This tour definitely offers you some of the most amazing scenery, Tibetan villages, charming view of the Himalayas and many more. This holiday is blending of culturally and naturally rewarding journey. 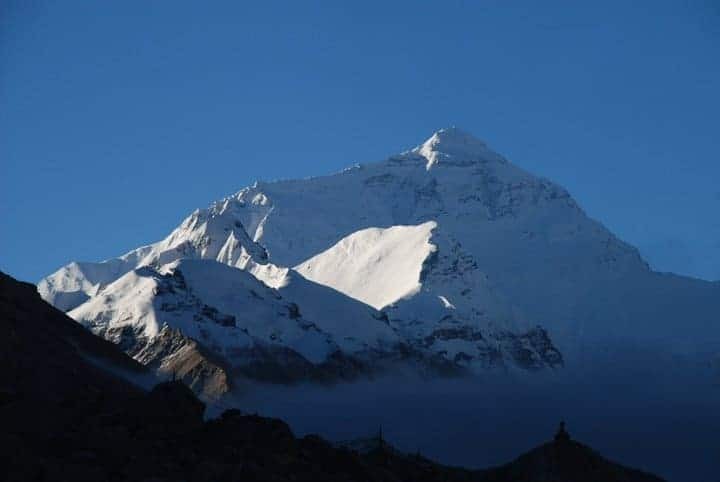 A visit to important places of interest in Tibet including cultural, historic and natural attractions of Tibet, secondly remarkable Everest base camp trip is full of amazing things. The fascinating panoramic view beamed from the great north face of Mount Everest is sensational. 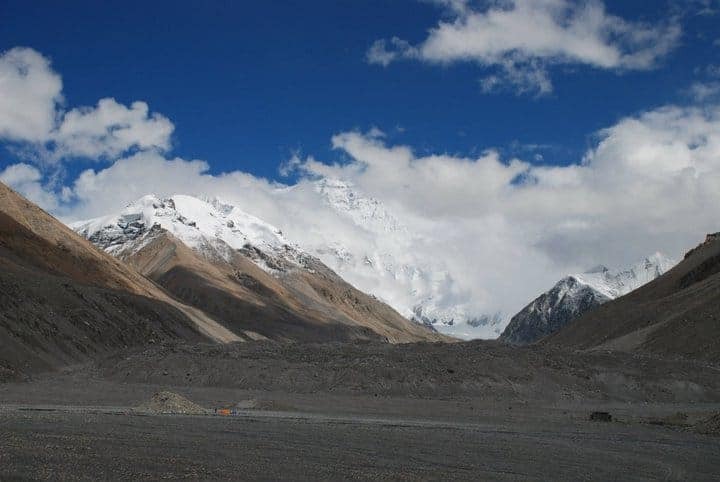 All travel logistics including arrangement of Tibet tour permit are included in the tour package. Travelers who are holding Chinese visa on their passport doesn’t work for traveling to Tibet. We will arrange a separate group visa on paper. Upon your arrival, transfer to hotel. Overnight at hotel on bed and breakfast basis (B.B). Visit Potala Palace for the whole morning, then walk on the Barkhor Street, a very interesting market in this traditional city. Overnight at hotel on bed and breakfast basis (B.B). 1: Potala Palace: Immerse yourselves into the Tibetan religion and sense the unique culture and it is wonderful to bask under the sunshine in Jokhang Monastery. 2: Barkhor Street: Stroll around an interesting market featuring Tibetan, Nepalese local products where is the best place to buy souvenirs. In the morning, we visit Jokhang Temple in the early morning when it is the best time to visit. Then in the afternoon visit Drepung Monastery, the ever largest monastery in Tibet. Later free time at your disposal. 1: Drepung Monastery: The ever largest monastery with more than 10 thousand monks. Buddhist debates often occur there. 2: Jokhang Temple: The spiritual center of Tibetan people. Every day, numerous Buddhists from every corner of Tibet come to burn incense to worship. 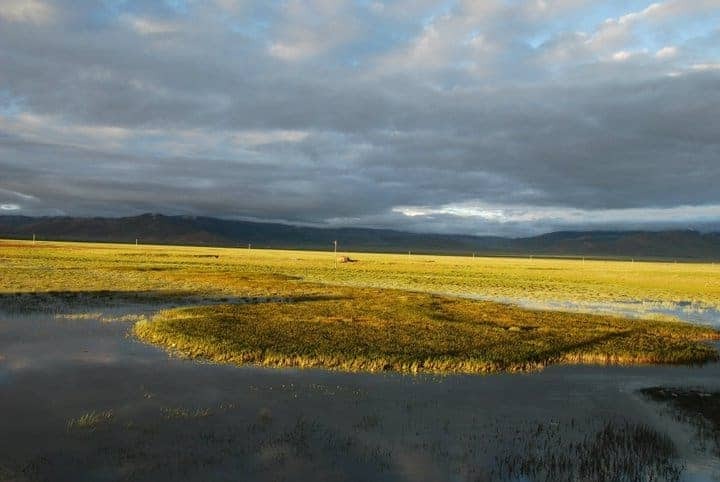 Drive to Xigatse, the second largest city in Tibet along the Brahmaputra River. While driving across the Ganba La highland (around 16000 feet), the Yamdrok Lake, several hundred meters below the road, will come into yours eyes. Upon arrival in Xigatse, visit Tashilumpo monastery. Overnight at hotel on bed and breakfast basis (B.B). 1: Appreciation of the Brahmaputra River along the road. 2: Yamdrok Lake: A sapphire blue lake as one of the 3 holy lakes in Tibet will leave you gasp in admiration. 3: Tashilumpo monastery: Painted in red and white, the buildings in the monastery stand closely together in terraced rows, offering a grand and majestic view. Drive to Xegar, en route visit Sakya Monastery, a castle-shaped place in which lots of historic articles exhibited. Overnight at Guesthouse on bed and breakfast basis (B.B). We drive over the Pang La (5150m) towards the main Himalayan range that give magnificent view stretching from Makalu to Shishapangma. 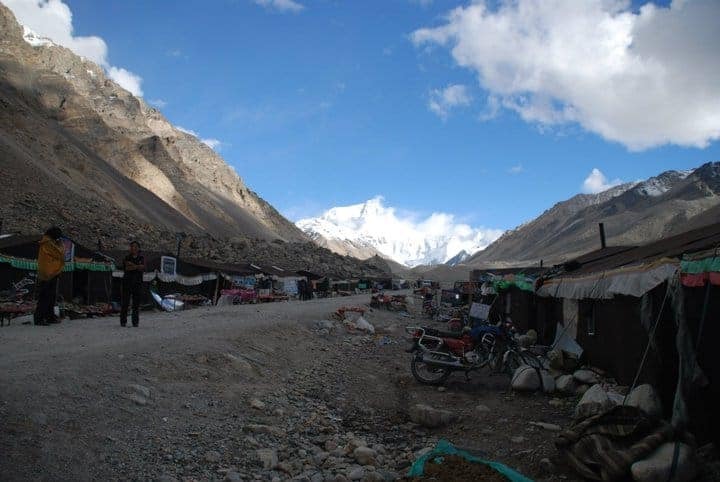 Below the pass, as we turn the corner into the Rongbuk Valley, we can watch the charming view of Everest. In the morning hiking to Everest Base Camp and back to Rongbuk Monastery. Pelkhor Monastery: Mysterious temple as the cultural symbol of Gyantse with 3 sects living under the same roof.